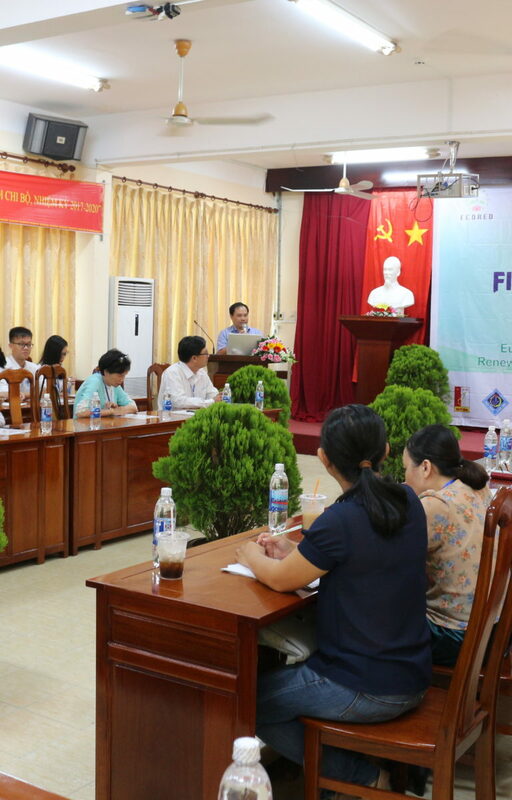 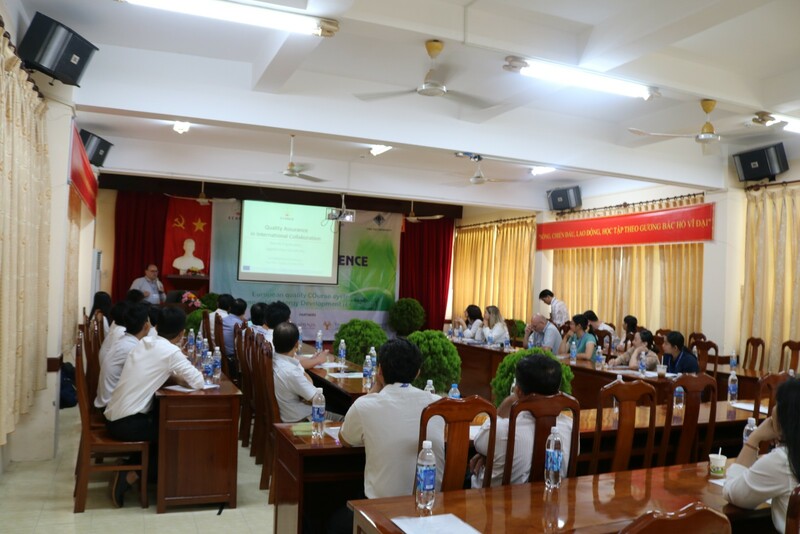 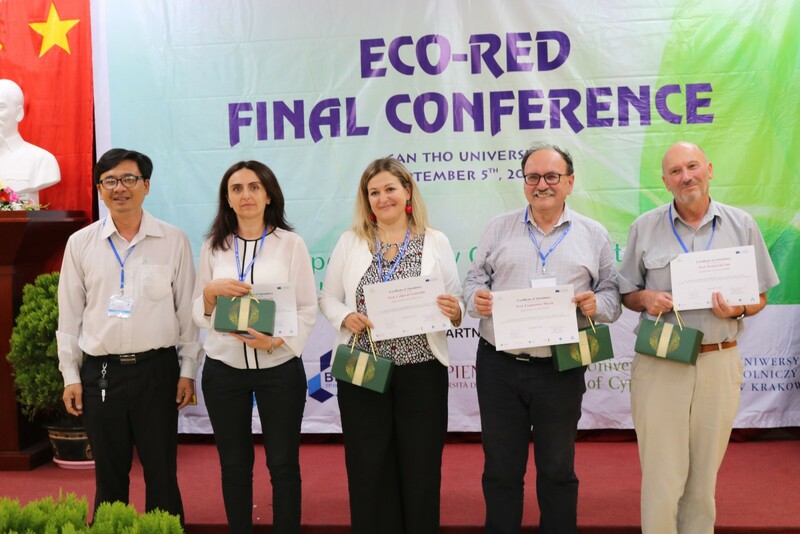 The ECORED final conference took place at Can Tho University at the College of Engineering Technology, on September 5th, 2018. 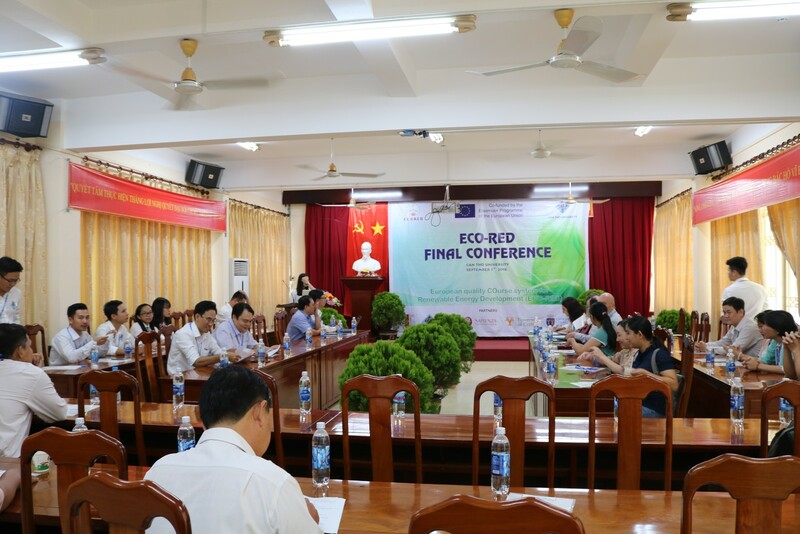 The conference started with the Video realized by the students summarizing their experience during the training in Europe, followed by a welcome speech of Prof. Dr. Nguyen Vo Chau Ngan, the Can Tho University, Deputy Head of Dept. 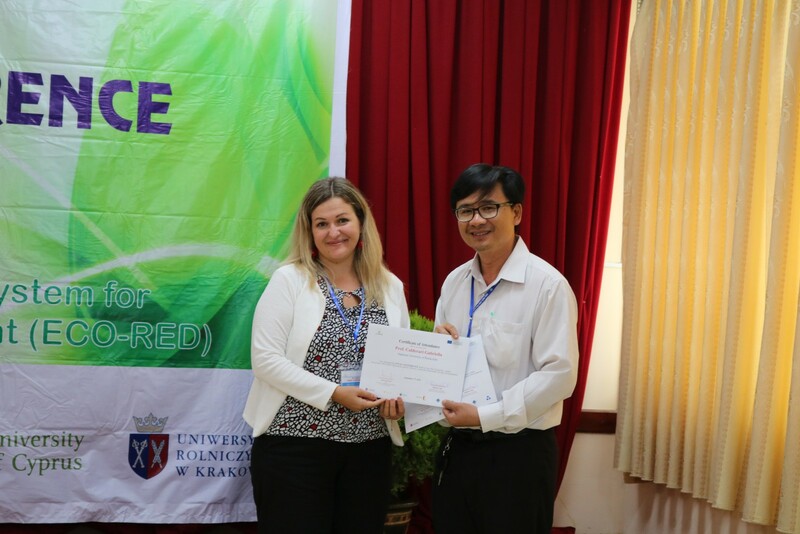 of International Relations and Prof. Dr. Nguyen Vo Chau Ngan, Deputy Head of Dept. 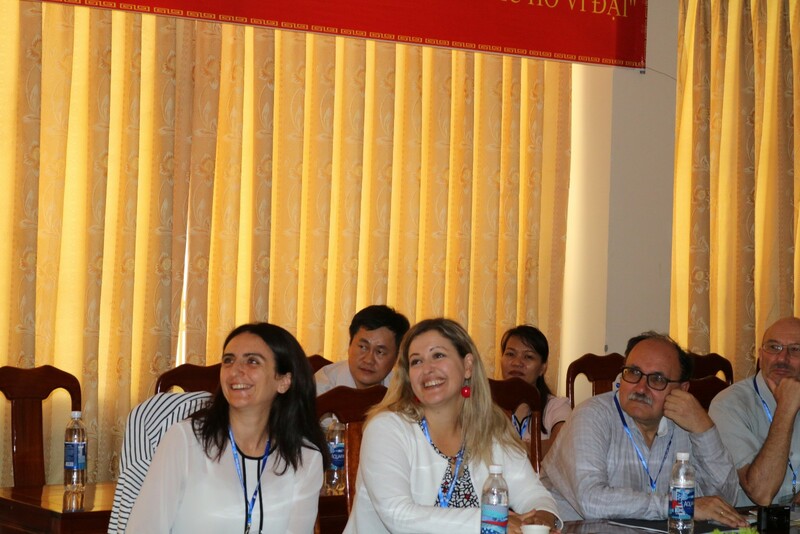 of International Relations. 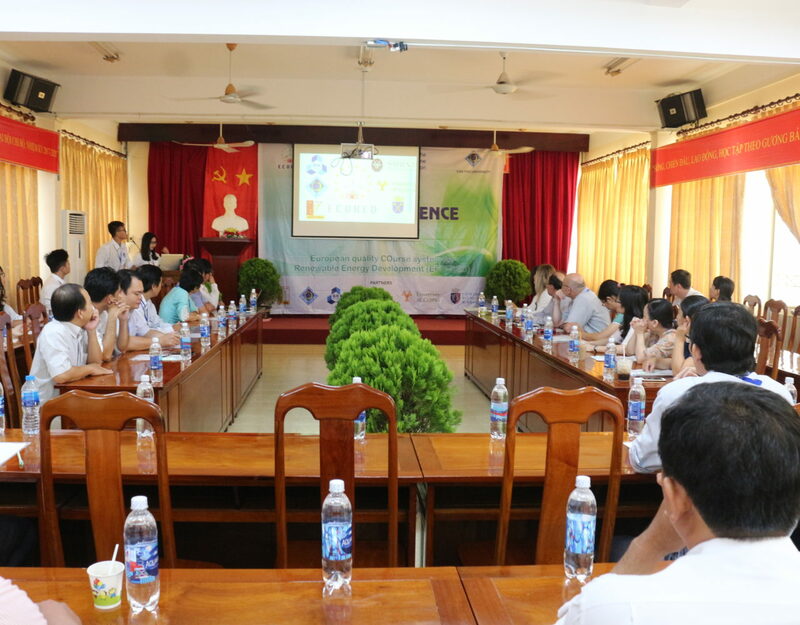 Prof. Dr. Nguyen Chi Ngon, Dean of the College of Engineering Technology reported about the experience of developing ECO-RED’s project at the Can Tho University. 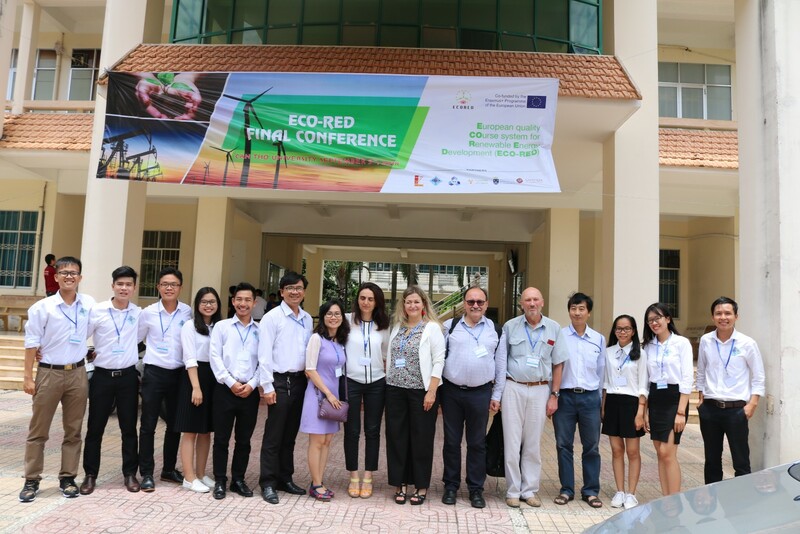 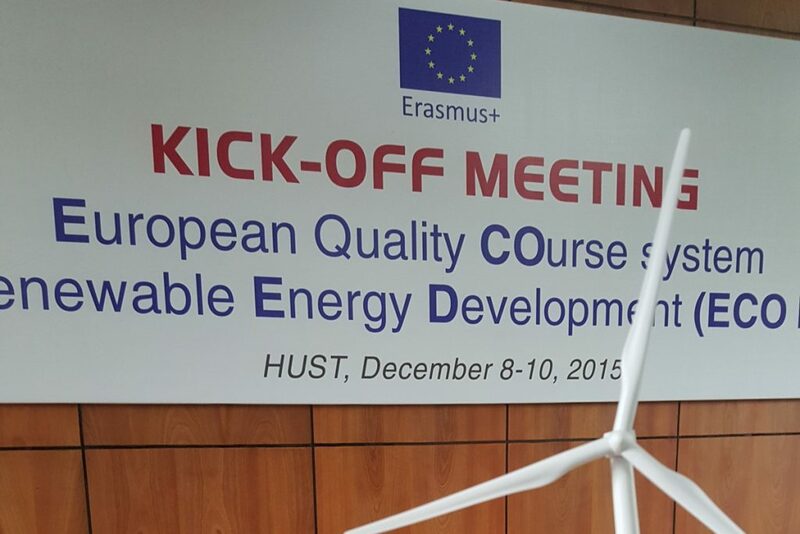 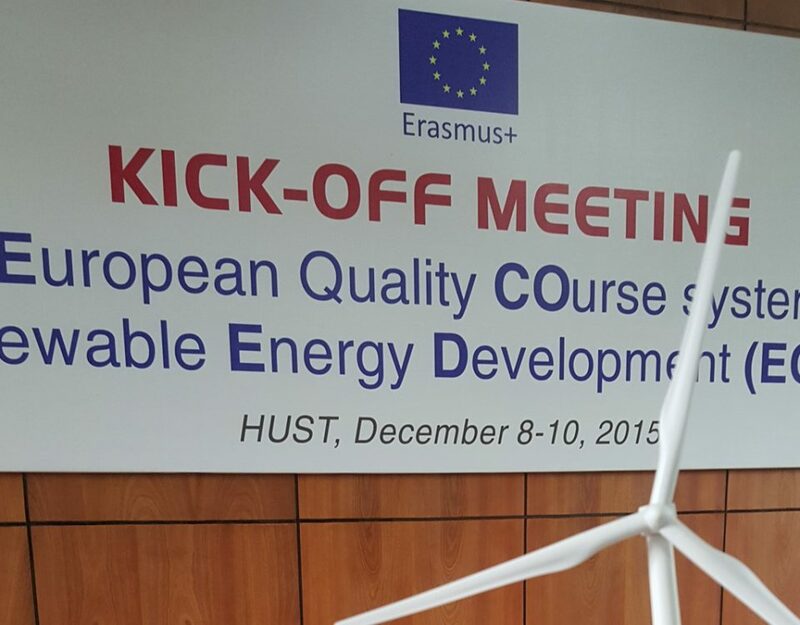 From European side, the results of the project have been presented by ECORED project coordinator, Prof. Katiuscia Cipri from Sapienza University of Rome, while Prof. Marek Frankowicz, did a speech about Quality Assurance in International collaboration. 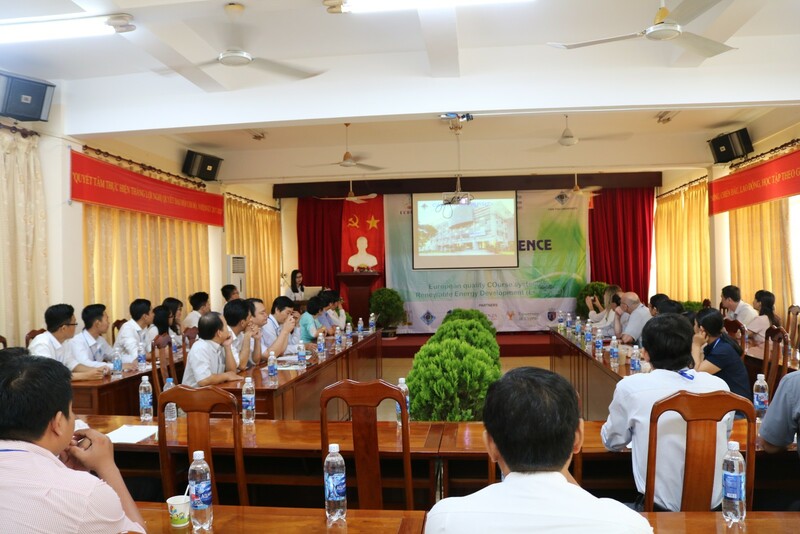 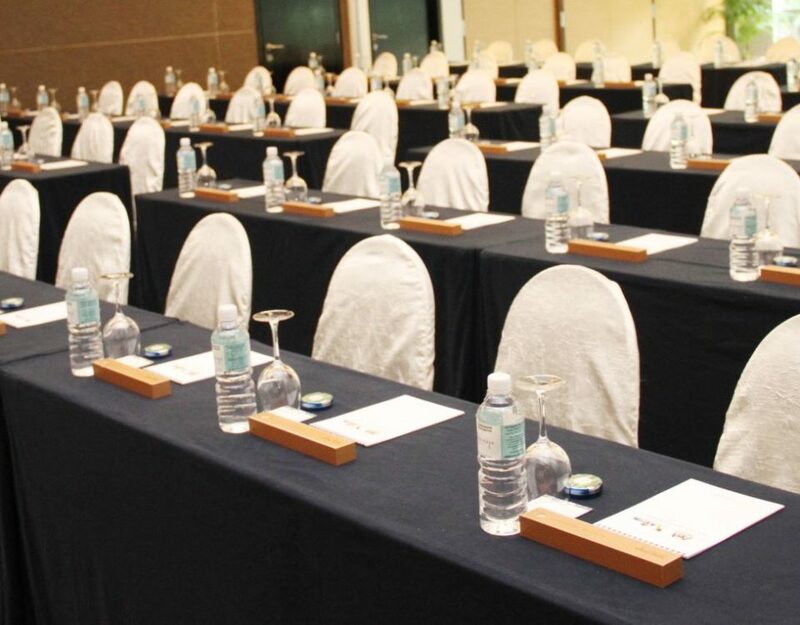 A special section has been dedicated to the Industry with the presentation on “3-5KWp PV system – a clean energy solution for household in Vietnam” done by a representative of VVIET LINH Co. Ltd. 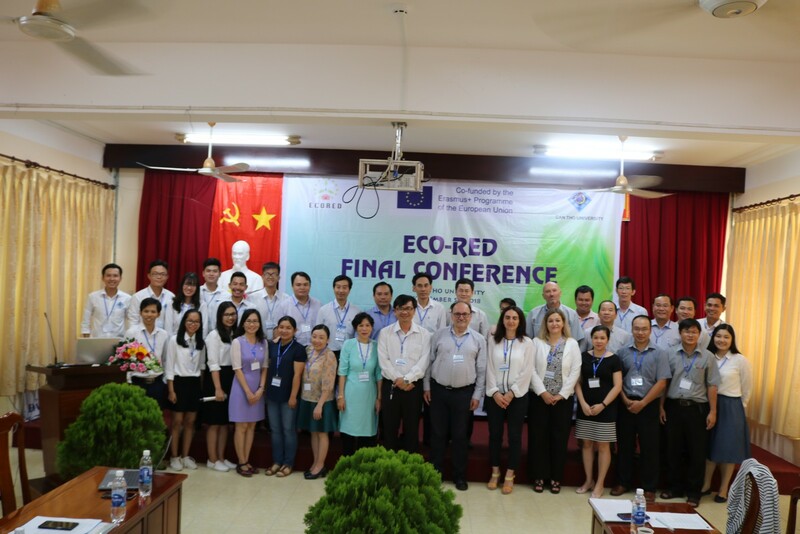 The conference ended with the students reporting their experience in Europe for the International Mobility foreseen by ECO-RED project.